I love cooking with my cast iron skillets, they are some of the most used cookware in my kitchen. 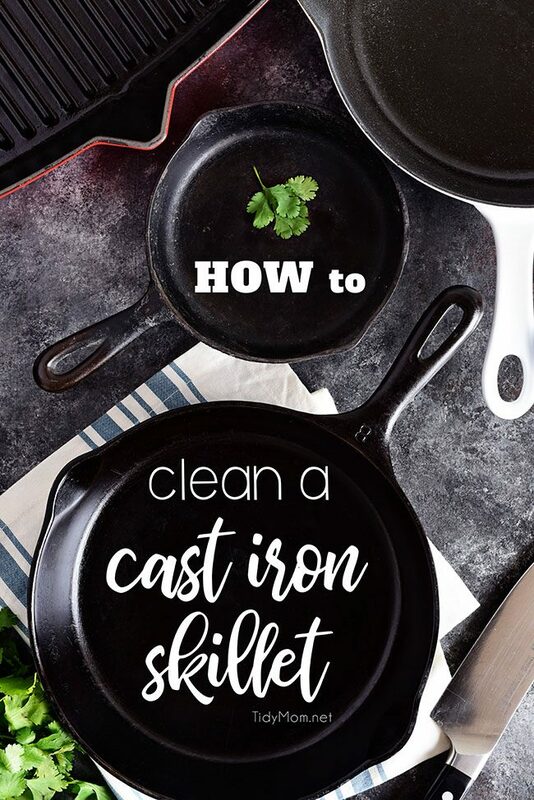 Do you have a cast iron pan tucked away in your darkest cabinet because you aren’t sure how to clean a cast iron skillet? The care and keeping of this versatile workhorse isn’t that difficult. The best thing is, properly seasoned and maintained cast iron can last a lifetime and be handed down for generations! Why cook in a cast iron skillet? Well cared for cast iron cookware has a natural, non-stick finish and, you can use any utensils you like, even metal without damage to the pan. They can also be used on any cooking surface, even the grill. Not only is a cast iron skillet durable and heats evenly, it also allows the convenience of stovetop cooking with direct transfer to the oven without batting a beautiful eyelash. You can sear meat, fry chicken, and eggs, roast vegetables, bake desserts, and so much more! Cast iron does require a little TLC. Let’s talk proper cast iron care. 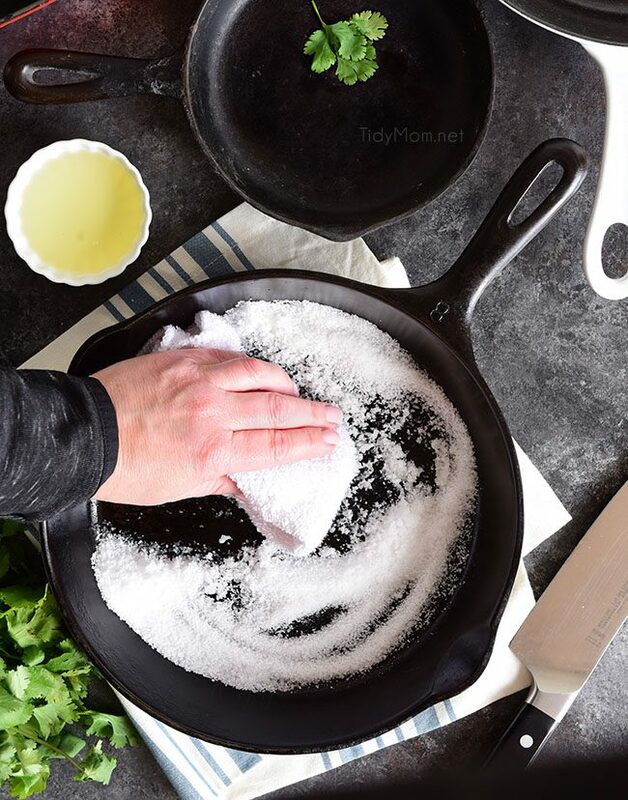 When your cast iron cookware is new, you can wash with warm water and mild soap, just this once, and dry thoroughly. After that first cleaning, you will not use soap again because the soap will remove the “seasoning” which you want in the cookware, so food doesn’t stick to the skillet. To season the skillet, coat it inside and out of the pan with cooking oil, shortening or good old bacon grease. The object is to completely grease the cookware. Then place the skillet in a 350° oven for one hour. After an hour, turn the oven off and let it sit inside until completely cooled. Remove the skillet and wipe the remaining oil or shortening off with a soft towel (or paper towel). NOTE: some new pans are “pre-seasoned” but seasoning them at home as well will create a stronger seasoning bond. Your cookware should have a glean to it, but should not drip. When you first start using your new cast iron cookware, going through the aging and seasoning process, reserve your cookware for only the highest fat content foods. Cook bacon, hamburgers, fried chicken, or anything with a lot of fat. You want to continue to fatten up the seasoning layer before using it for cornbread and other non-fatty foods. NOTE: Don’t cook tomatoes or citrus until you have a thickly seasoned pan or your food may come out tasting as though you licked the monkey bars. The number one rule – NO SOAP. You read that right, no soap. This is what leads many a kitchen diva to avoid cast iron because we are taught that it isn’t clean unless we soap it to death. You have to change your mindset with cast iron, with a few simple steps, you’ll be able to keep your skillet clean, rust-free, and well-seasoned. Your best bet is to clean the cookware as soon as you are finished using it. Often all you need to do is wipe it out with some paper towels or a clean dry dishcloth. DO NOT leave it to soak in the sink, this may cause it to rust. 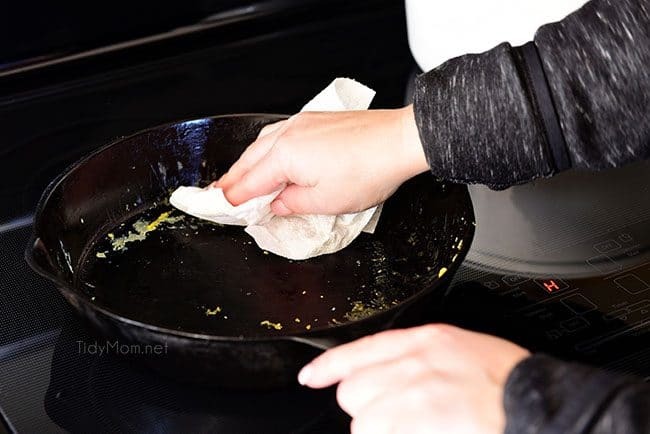 If you do need to wash your skillet, hot water and a rough kitchen sponge is usually all you need to get it clean (DO NOT use steel wool or soap). For particularly stuck-on food make a gritty paste with coarse sea salt (or kosher salt) and cooking oil then scrub the warm pan with a clean soft dishcloth to exfoliate the stuck-on residue. 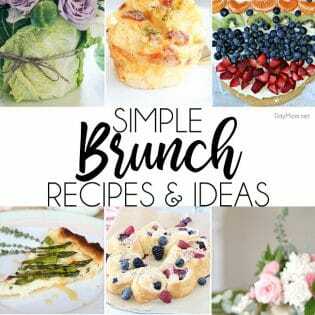 Once all of the stuck on food has been loosened from the pan, dump out the salt, and wipe out any residual salt and oil with a paper towel or another clean, dry cloth. Really stubborn food can also be loosened by boiling water in the pan. Add enough water to cover the bottom of the pan and put it on the stove over a low heat, let it come to a boil and simmer, then use a wooden spoon to loosen anything left behind. The cardinal sin of any cast iron owner is to put away their pan slightly damp. Be sure to dry thoroughly with a towel, or better yet dry it on the stove on low heat. If you used the oven, pop the skillet in the oven while the oven cools and your cast iron dries. Once it’s completely dry, use a clean dry cloth or paper towel to rub the inside of the skillet with a little oil. Buff to remove any excess oil. Keep your skillet stored in a dry place. If you run across an old, rusted cast iron pan at a garage sale or estate sale, don’t hesitate to buy it! Bring it home, and restore it with steel wool. If this all seems labor intensive, just remember the more you use it the better it will get. Once you have that perfectly seasoned and slick pan, you’ll learn to love your cast iron skillet and it will last forever! 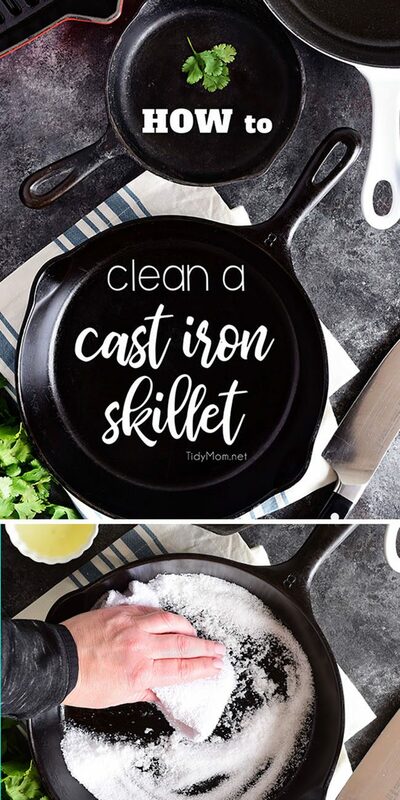 CHECK OUT HOW EASY IT IS TO CLEAN A CAST IRON SKILLET! WATCH THE VIDEO! What can you cook in a cast iron skillet? Some of our favorite meals are made with my cast iron skillets. Sweet and Spicy Glazed Pork Tenderloin is juicy and flavorful, I can grill chicken indoors for BBQ Chicken Pot Pie, Roasted Red Pepper Fettuccine is a sure way to win any pasta lovers heart! This dish is full of flavor and on the table in 20 minutes or less! 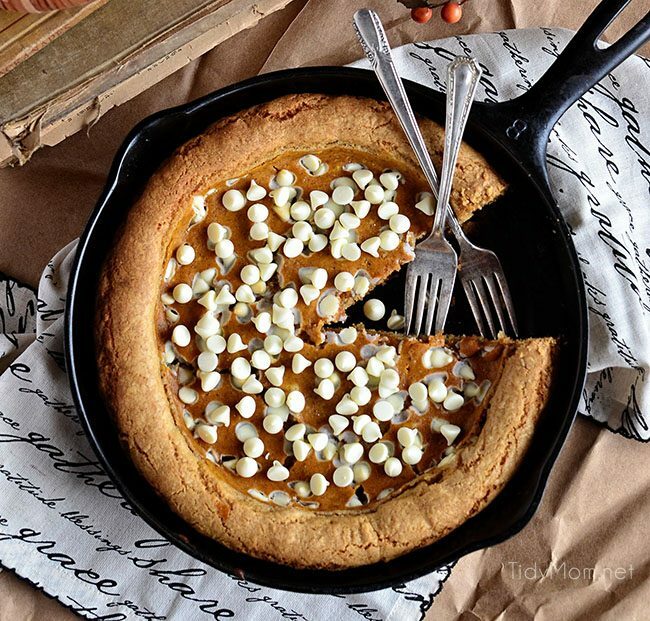 Cookie Cakes are always great and bake perfectly in a cast iron skillet. I would love to hear your favorite way to use your cast iron skillet in the comments below. 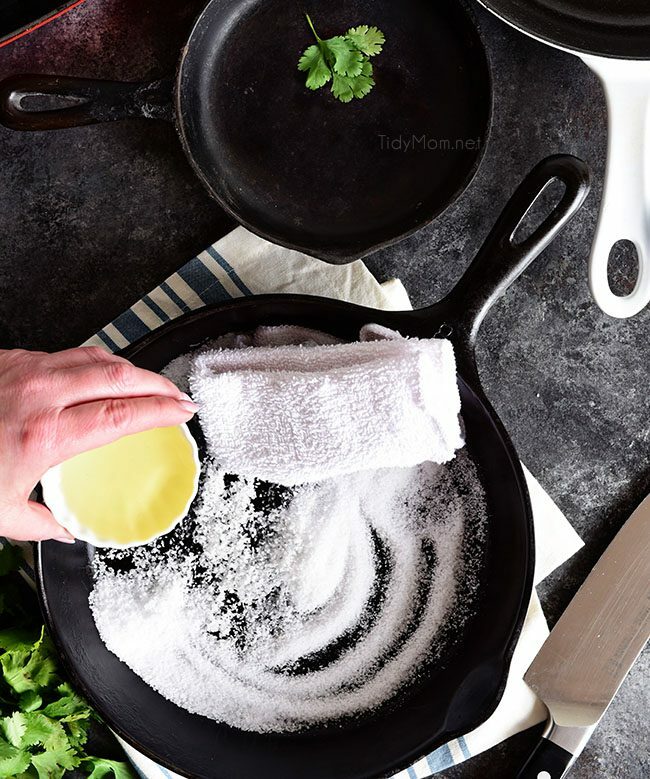 Like These Tips On How To Clean A Cast Iron Skillet? Pin It!